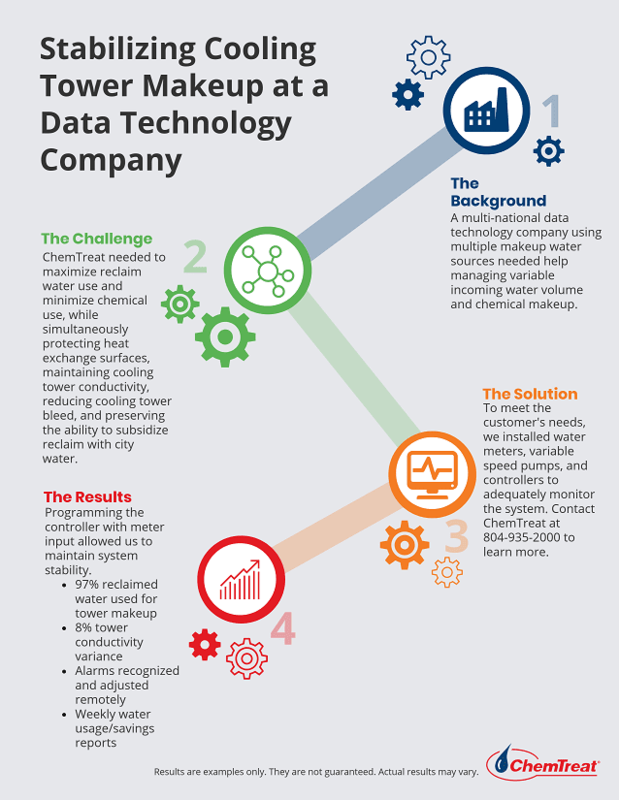 Stabilizing Cooling Tower Makeup at a Data Technology Company | ChemTreat, Inc.
Read more about ChemTreat’s unique cooling water treatment programs and process optimization solutions. Find out how ChemTreat can help you find water treatment solutions for your data center. Automate your water treatment with our open, web-based platform to help maintain system efficiency.